In the West, for example, some even go as far as thinking that a Muslim who believes in Shari'a law is by definition a fanatic or fundamentalist. Yet to accuse every Muslim who believes in Islamic law of fanaticism is akin to accusing every Jew who believes in Rabbinic or Talmudic law to be a fanatic as well. Islamic law is derived from two distinct sources: the Qur'an and the traditions of the Prophet (known as the hadith and Sunna). The Sunna is the orally transmitted record of what the Prophet said or did during his lifetime, as well as various reports about the Prophet's companions. Traditions purporting to quote the Prophet verbatim on any matter are known as hadith. The Sunna, however, is a broader term: it refers to the hadith as well as to narratives purporting to describe the conduct of the Prophet and his companions in a variety of settings and contexts. In Islam, the Qur'an occupies a unique and singular status as the literal word of God. Muslims believe that the Qur'an is the literal word of God as transmitted by the Angel Gabriel to the Prophet Muhammad. When it comes to the Qur'an, the Prophet Muhammad did nothing more than communicate word for word God's revelation and Muslims preserved the text and transmitted it in its original form and language to subsequent generations. Muslims believe that God warranted and promised to guard the text of the Qur'an from any possible alterations, revisions, deletions, or redactions, and therefore, while Muslims may disagree about the meaning and import of the revelation, there is a broad consensus among Muslims on the integrity of the text. 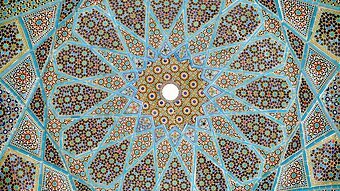 The Muslim belief in the integrity of the text of the Qur'an is well-supported historically, but the meaning and context of the text is a far more complicated matter. At times the Qur'an addresses itself to the Prophet, specifically, but on other occasions the Qur'an speaks to all Muslims or to humanity at large. In different contexts, the Qur'an will address Jews or Christians or the polytheists. Unlike the Qur'an, the Sunna is not represented by a single agreed-upon text. The Sunna is scattered in at least six primary texts (Bukhari, Muslim, Nisa'i, Tirmidhi, Ibn Maja, Abu Dawud), and many other secondary texts (such as Musnad Ahmad, Ibn Hayyan, Ibn Khuzayma). In addition, there are several collections of Sunna and hadith that are particularly authoritative among Shi'i Muslims (like al-Kafi, al-Wasa'il). Unlike the Qur'an, the Sunna was not recorded and written during the Prophet's lifetime. The Sunna was not systematically collected and documented for at least two centuries after the death of the Prophet. Although some documentation movements commenced in the first century of Islam, the main efforts at systematic collection and documentation did not start until the third century of the Islamic era (ninth century of the Christian era). The late documentation of the Sunna meant that many of the reports attributed to the Prophet are apocryphal or at least are of dubious historical authenticity. In fact, one of the most complex disciplines in Islamic jurisprudence is one which attempts to differentiate between authentic and inauthentic traditions. Furthermore, reports attributed to the Prophet are not simply adjudged authentic or fabricated - such reports are thought of as having various degrees of authenticity depending on the extent to which a researcher is confident that the Prophet actually performed a certain act or actually made a particular statement. Therefore, according to Muslim scholars, traditions could range from the highest to the lowest level of authenticity. Although Muslim scholars have tended to believe that they could ascertain whether the Prophet actually authored a particular tradition, the authorship of traditions is historically complicated. Many traditions are the end product of a cumulative development that took place through a protracted historical process, and therefore, these traditions often give expression to socio-political dynamics that occurred many years after the death of the Prophet. Furthermore, the range of topics and issues addressed by the Sunna are much more sweeping than in the Qur'an. The Qur'an is primarily concerned with ethics and morality; the Sunna, however, contains everything ranging from enunciations of moral principles, to detailed prescriptions on various matters of personal and social conduct, to mythology and historical narratives. Not all of the Sunna can easily translate into a set of straightforward normative commands, and therefore, Muslim jurists argued that parts of the Sunna are intended as legislative and binding, while other parts are simply descriptive and for the most part, not binding. Most importantly, the huge body of literature that embodies the Sunna is complex and generally inaccessible to the lay person. In order to systematically and comprehensively analyse what the Sunna, as a whole, has to say on a particular topic requires a considerable amount of technical knowledge and training. In part, this is due to the fact that the Sunna literature reflects a rather wide array of conflicting and competing ideological orientations and outlooks that exist in tension with each other. Selective and non-systematic approaches to the Sunna produce determinations that are extremely imbalanced and that are highly skewed in favour of a particular ideological orientation or another. And yet, such selective and imbalanced treatments of the Sunna of the Prophet are commonplace in the contemporary Muslim world. Nevertheless, it is important to note that many of the basic rituals of Islam were derived from the Sunna traditions. In addition, the Sunna helps in contextualizing the Qur'anic revelation, and also in understanding the historical framework and role of the Islamic message. Consequently, it is not possible to simply ignore this formidable oral tradition, or focus exclusively on the Qur'an, without doing serious damage to the structure of the Islamic religion as a whole. There is no question that the Qur'an and Sunna occupy a highly authoritative position in the Islamic faith, and that they are boundless and illimitable sources for thinking about ethics, morality, law, and wisdom. But as sources of guidance, they are also multi-layered and multi-faceted, and when the Qur'an and Sunna are considered together, they tell a complex story. Other than the Qur'an and the traditions of the Prophet, there were various methodologies used by jurists for producing legal rulings. Jurists used rule by analogy in which they extended the same ruling from an old case to a new case because the old and new cases were substantially similar. Traditionally, Muslim jurists also used principles such as equity and public interest in order to make the law responsive to changing circumstances and conditions. In the Sunni world, there are four surviving schools of thought: the Shafi'i, Hanafi, Maliki and Hanbali. In the Shi'i world, there are two surviving schools of thought: the Ja'fari and Zaydi. The Ja'fari school is the dominant Shi'i school; it is followed by most Shi'is including those who live in Iraq and Iran. The Zaydi school is widespread primarily in Yemen. Substantively, despite the sectarian differences, the Ja'fari school is very similar to the Shafi'i school and the Zaydi school is very similar to Hanafi school in term of their methodologies and rulings. The Isma'ili school of Qadi Nu'man although Shi'i today it has a very limited following, primarily in India. There is also the Ibadi school of jurisprudence, which is neither Sunni nor Shi'i, but belongs to a third sect known as the Ibadiyya, and its followers live predominately in Oman. Each of these schools generated its own jurisprudential tradition of legal rulings and opinions. Quite often the sages that belonged to a particular school of law wrote legal treatises that became far more influential than the texts written by the founder of the school. For instance, al-Khiraqi (d. 334/946), author of al-Mukhtasar, Ibn Qudama, (d. 620/1223), author of al-Mughni, were both more influential in defining the Hanbali school than the eponym of the school Ahmad Ibn Hanbal (d. 241/855). Among the many students of the eponym of the Hanafi school Abu Hanifa (d. 150/767), there were three particularly influential sages, the judge Abu Yusuf (d. 182/798), al-Shaybani (d. 189/804), and Zufar (d. 158/774), and each one of them developed his own interpretation of the teachings of the master Abu Hanifa. Yet, although the matter is open to dispute, the Hanafi jurist al-Marghinani's (d. 593/1196) book, al-Hidaya, and the Hanafi jurist al-Sarakhsi's (d. 483/1090) huge multi-volume book al-Mabsut has been more influential than any of the texts written by Abu Hanifa or his three celebrated sages. The eponym of the Maliki school Anas bin Malik (d. 179/795) wrote a wildly influential work called al-Muwatta', but his disciple, Sahnun (d. 240/854) wrote a more extensive book titled al-Mudawwana, which quickly became an essential reference source for the Maliki school. However, later Maliki jurists, such as Ibn Rusd (d. 520/1122), al-Qarafi (d. 684/1285), and al-Shatibi (d. 790/1388), wrote remarkably creative works that greatly enhanced and developed the field of Maliki law. Importantly, the numerous volumes that collectively represent the Islamic legal tradition, do not preserve just the rulings and opinions of the living schools of thought, but also record the views of the many extinct schools of law. At one time, there were one hundred and thirty schools of legal thought in the Islamic civilization but most of them became extinct for a variety of reasons. In other words, Islamic law is not represented just by the surviving schools, it is also represented by a large number of jurisprudential schools that at one time of another thrived in the lands of Islam but eventually became extinct for one reason or another. Among the jurists who founded schools that ultimately became extinct are the following: Ibn Shubruma (d. 144/761), Ibn Abi Layla (d. 148/765), Sufyan al-Thawri (d. 161/777), al-Layth Ibn Sa'd (d. 175/791), Sharik al-Nakha'i (d. 177/793), Abu Thawr (d. 240/854), al-Awza'i (d. 157/773), Ibn Jarir al-Tabari (d. 310/922), Ishaq bin Rahawayh (d. 238/852), and Dawud bin Khalaf (d. 270/883) who founded what became known as the Zahiri school. Ibn Hazm (d. 456/1064) who was jurist from the Zahiri school wrote a multi-volume work titled al-Muhalla. Although the Zahiri school is now long extinct, Ibn Hazm's book continues to be very influential among Islamic legal specialists. "Islamic law" is a shorthand expression for an amorphous and formless body of legal rulings, judgments, and opinions that have been collected over the course of many centuries. On any point of law, one will find many conflicting opinions about what the law of God requires or mandates. The Islamic legal tradition is expressed in works that deal with jurisprudential theory and legal maxims, legal opinions (fatawa), adjudications in actual cases, and encyclopedic volumes that note down the positive rulings of law (ahkam). Islamic law covers a broad array of topics ranging from ritual practice to criminal law, personal status and family law, commercial and transactional law, international law, and constitutional law. Shari'a is the eternal, immutable, and unchanging law, or Way of truth and justice, as it exists in the mind of God. In essence, Shari'a is the ideal law as it ought to be in the Divine realm, and as such it is by definition unknown to human beings on this earth. Thus human beings must strive and struggle to realize Shari'a law to the best of their abilities. The moral and ethical objectives of the Qur'an play a central and pivotal role in the process of legal analysis. The point of the legal analysis is not to unthinkingly and blindly implement a set of technical rules, but to seek after the ultimate objectives of the Qur'an. All Qur'anic laws reinforce and promote moral and ethical objectives, such as racial and ethnic equality, freedom from compulsion in the conduct of human affairs, freedom of conscience, or the right of women to own property, and it is the duty of Muslims to apply themselves intellectually in order to comprehend and fulfil these objectives. These moral objectives are related to the obligation to seek Godliness in oneself and in society. The specific rulings of the Qur'an came in response to particular problems that confronted the Muslim community at the time of the Prophet. The particular and specific rules set out in the Qur'an are not objectives in themselves. These rulings are contingent on particular historical circumstances that might or might not exist in the modern age. At the time these rulings were revealed they were sought to achieve particular moral objectives such as justice, equity, equality, mercy, compassion, benevolence, and so on. Therefore, it is imperative that Muslims study the moral objectives of the Qur'an, and treat the specific rulings as demonstrative examples of how Muslims should attempt to realize and achieve the Qur'anic morality in their lives. According to all the jurisprudential schools the purpose of the Shari'a is to serve the best interests of human beings. Put differently, the objective of the law is not to apply technicalities regardless of their consequences, but to achieve the ultimate moral and ethical objectives that represent the essence of Godliness on this earth. Originally published as "What is Shari'a" on the Australian Broadcasting Corporation's Religion and Ethics Website.